You probably have a couple of collections of fairy tales lounging around the house. Yet, there are fairy tales and fairy tales. So, Read Aloud Dad went on a mission to find the best illustrated and most attractive version of classic children's fairy tales. Fairy tales are like a golden thread of childhood, they help to keep the magic robes of innocence on for as long as possible. Many time-tested fairy tales often deal with darker elements of life, but that is one of their key attractions. As parents, one of our principal duties is to ensure that our children grow up to become independent individuals. 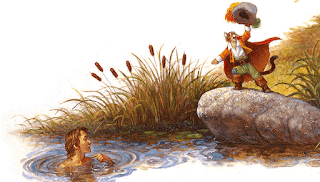 Funnily enough, it is through the imaginary worlds of the Brothers Grimm, Master Charles Perrault and Hans Christian Andersen that our children get the first glimpse of the real imperfect world. The real world, that we as parents are often afraid to show them. Deficiencies of real life are best presented to children by proxy. Through a dreamed-up world that exists behind a barrier. A security one-way mirror. That's how we should think of fairy tale collections. We can make sure that kids are able to look into this fairy tale world without feeling threatened - because the events are clearly happening in another world. The stories need to be heard, the tales need to be told. Our task is to find the best one-way mirror into this magic land. I was looking for a classic fairy tale collection with mesmerizing and unforgettable visuals. Knock on wood - I found it. Read Aloud Dad will not beat around the bush. Scott Gustafson spent more than four years painting the seventy-five magnificent oil paintings that illustrate these ten well-loved fairy tales in the magnificent collection. Yes, four years of painting to illustrate this magnificent, large-format book. When you hold this collection in your hands, it becomes instantly clear why it took 50 months to finish the art. The pictures are pure perfection, charming, colorful. But that is also saying nothing. On top of that, these illustrations are uniquely bewitching and esoteric. This collection of best-loved fairy tales has a place in every child's home library as it will be visited and revisited and ... revisited. As we all know, the original versions of fairy tales are sometimes pretty brutal stuff. The versions in this collection are toned down, yet they still contain some elements that could cause fright among more sensitive listeners. Fortunately, any such passages are always at predictable points of the plot and these elements can easily be skimmed over depending on the age of the listener. This Gustafson collection lies somewhere in the middle - between the completely sanitized Disney versions and the far-from-naive original texts of some fairy tales. Perfect for creative reading aloud. Although we have had Classic Fairy Tales for more than a year, I introduced it slowly to my twins. In the beginning we mostly kept to their favorite Goldilocks and the Three Bears story. Gradually, we ventured into new territory. Puss in Boots, The Three Little Pigs and so on. And every single time - the effect was the same. My kids were like two deer staring into headlights. This book simply mesmerized them. After covering most of the stories over the past several years, this week I decided it was time for our first reading of Hansel and Gretel. I knew that this complex story would have had a special impact on my twins, as they are mixed twins - a boy and a girl like the main protagonists. Then comes the incredible relief of finding a house made of sweets and candies in the middle of the woods, followed by the appearance of the wicked witch that imprisons Hansel and Gretel in order to feed them with a view of eating them. This was going to be a big one. I was sure they would immediately completely identify with Hansel and Gretel, so I was a bit worried about the more dramatic parts of the story. How would they take it? My little pumpkins were wide-eyed and immobile. The story was a complete surprise to them. How did they take the references to starvation, to death, the witch planning to fatten up the kids to eat them? They took it in their stride. No special questions asked .... admittedly, I softened the wording and the harsher parts. There will be a time for a full rendition of the story, but the drama is evident in the pictures anyhow. Since our first reading of Hansel and Gretel, my kids have been "pestering" every day me for a re-read for the past two days. Some stories work their magic even when they are not being read. They linger in the back of your mind. What is clear is that after we read all ten fairy tales many times, some things will never change. 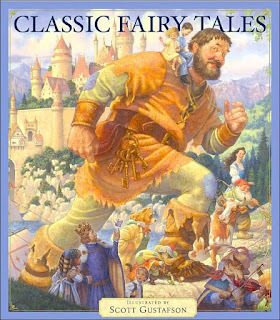 Scott Gustafson's Classic Fairy Tales will undoubtedly be a big hit in our library for many years to come. Well! This does sound (and look!) like a treasure! Thanks so much for linking up to Reas Aloud Thursday! Thanks so much for leaving a comment! I love Read Aloud Thursday and try to cross-promote it on my Twitter account whenever I can. I love the sincerity and depth of your posts. Please keep on with what you are doing. 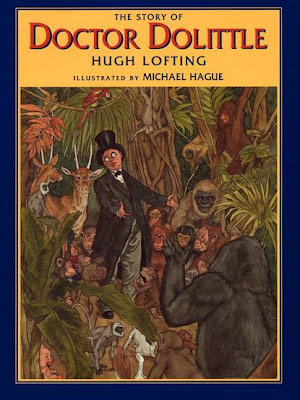 PS Thanks for linking to my review of King Hugo's Huge Ego - much appreciated! Thank you for your kind, kind words. I am so glad that you ordered the Classic Fairy Tales book, you will be pleasantly surprised with it when it arrives, I'm certain. Thank you so much for taking the time to leave me your warm comment. I do enjoy sharing thoughts about reading aloud, but I especially adore reading feedback from readers like you. The illustrations indeed look amazing. Added it to my Amazon cart. I just discovered your blog last night. I'm sure I'll be spending a lot of time here reading through your past posts. Thanks for sharing your read aloud time and opinions. Mimi, true words indeed. Fairy tales are winners every time. They stretch the boundaries of imagination and let many more books fill the new space that was created. Likewise! I always find excellent and exciting book tips on Jen Robinson's Book Page. The illustrations are charming indeed. Your words about how much you miss "fairy tale" time, reminded me of how time slips away... I must read more fairy tales to my kids. You can NOT go wrong with children's fairy tales! They have such great life lessons! What a neat way to think about it. A secret global book society. I will certainly be thinking of you and your twins as we read books that you've recommended! What a kind message PragmaticMom! No need to thank me - I am so excited that you will check it out! The illustrations are enormous (forgot to mention it) - so I am certain that your kids will love it. It is such a pleasure leafing through Gustafson's masterpieces, I am sure that you will also enjoy it tremendously. At least this is one certain way of making us all feel young at heart again! This is such an important and helpful post! 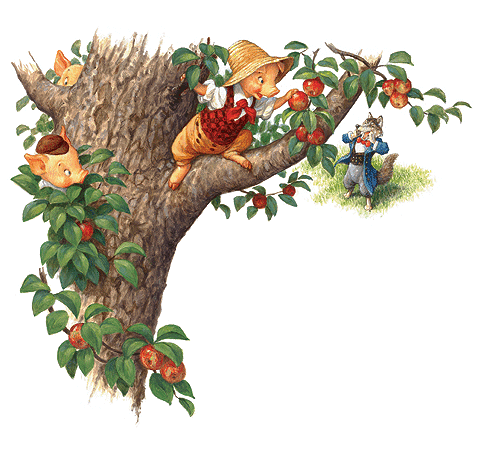 I have to say that I have never found a really great Fairy Tale book for my kids and hence they really did not grow up on them the way I did. But I never did an extensive search for the bst one, sad to say! Thanks for your research. I am going to buy your Gustavson rec. Thank you! Terri, that is awesome news! I'm so glad the bargain price is still on offer. It is an incredible bargain - I think I paid at least double that price when I bought it. You are most, most welcome. Thank you for such a nice compliment. Reading these fab books to my twins is great, but sharing them with other parents and their kids is fantastic. It feels so great knowing that so many of us now share the same treasures. Like a secret global book society! And you, Jen, are a member of honor! Hi "An Abundance of Books"! Your message made me really happy. Thanks for looking into Gustafson's wonderful creation as a possible replacement book for your library. I agree - your students will truly enjoy it! Awesome! I just snagged it for the bargain price of $7.69! Those are some fantastic illustrations. I know I have to replace at least one of our fairy tale books in the library, I'll definitely be looking into this one as a replacement copy. My students would love it.